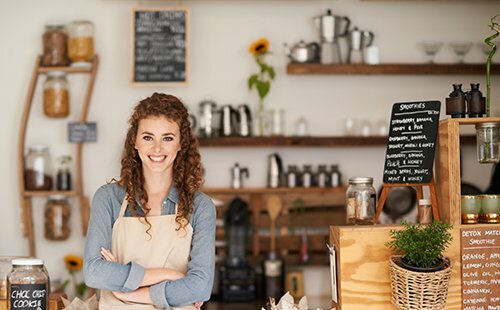 Business Insurance is a package policy designed for small to medium businesses that offers you the flexibility to choose which sections of cover you want included. This covers loss or damage to buildings, contents and specified items due to events such as fire, storm or impact. This covers theft of your contents and stock. This covers money in transit or bank safe, on premises, whilst in a safe or in private residencies. This covers breakage of internal and external glass and signs. This covers your legal liability for injury to others or damage to their property. This can also include liability arising from product defects. This covers fraud or dishonesty by your employees. This covers damage to machinery from mechanical, electrical and electronic breakdown as well as deterioration of goods under refrigeration. This covers loss, damage or breakdown of computers and electronic equipment. This cover is primarily designed for property (excluding stock) which is moved around, like tools or professional equipment. Further information can be found on our General Property product page here. This covers costs incurred by your accountant or registered tax agent (after receiving notification from the Australian Tax Office) in conducting an audit or investigation in relation to your liability to pay tax. Reviewing your business with your insurance broker will help determine which of these sections suit your individual requirements– not all businesses will require cover from section of the policy. Find out what Austbrokers Countrywide can do for your business.